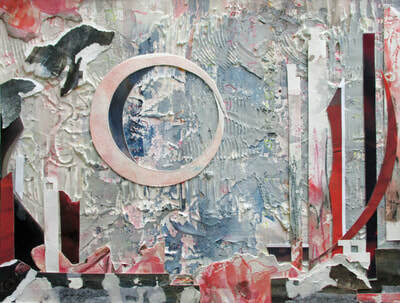 Lyricism, subtlety and a love of colour define my work. 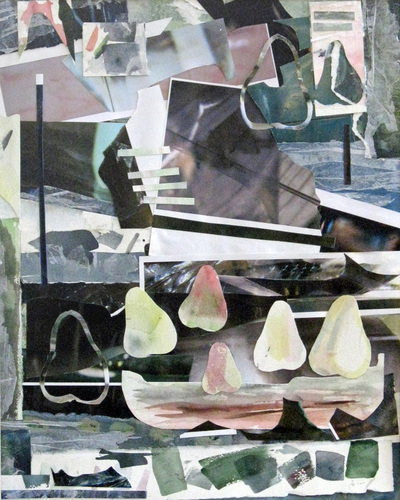 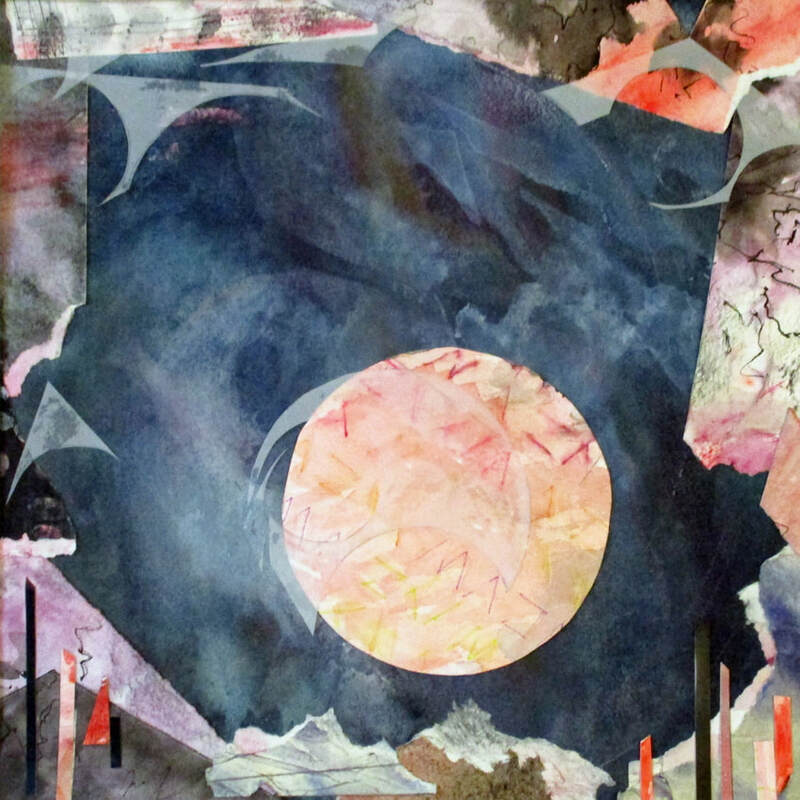 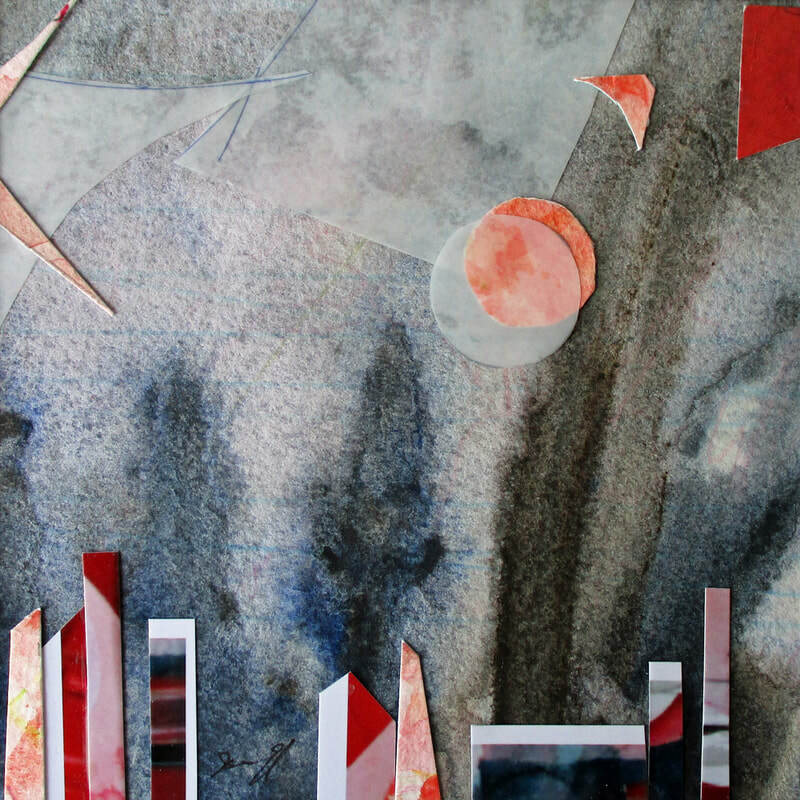 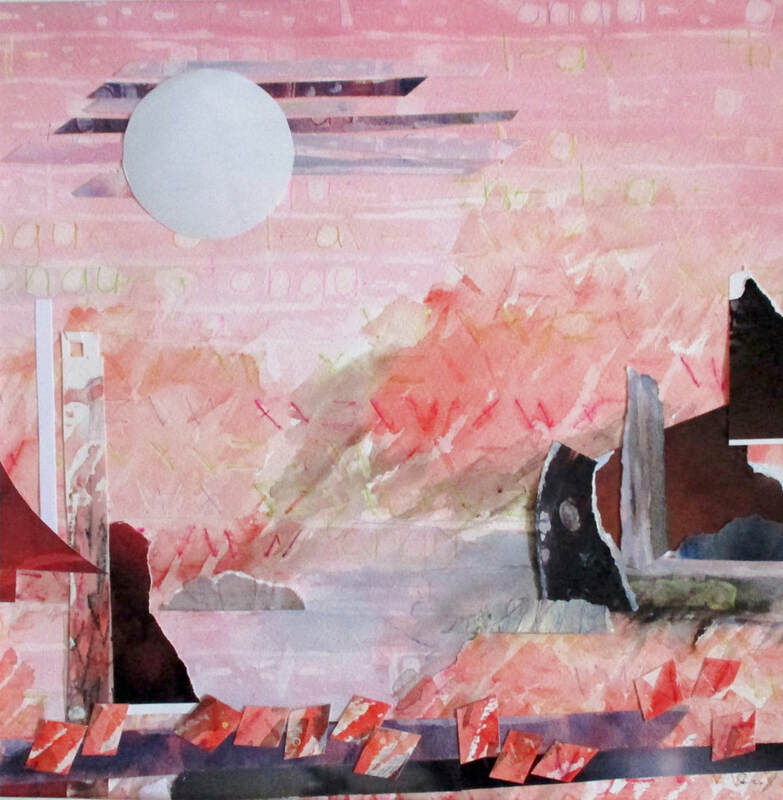 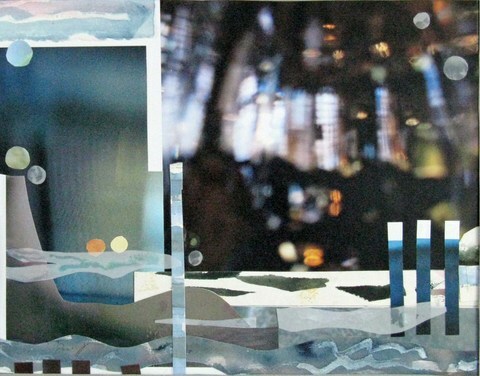 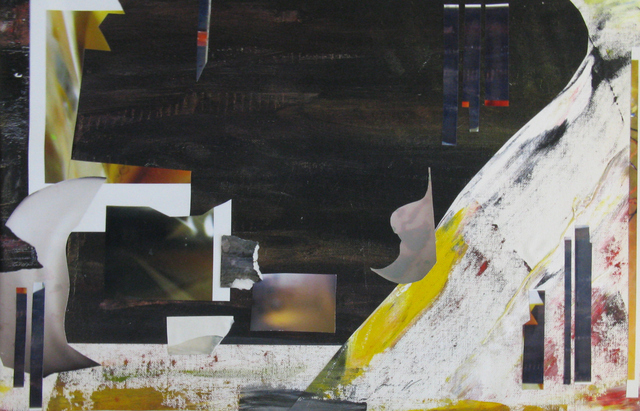 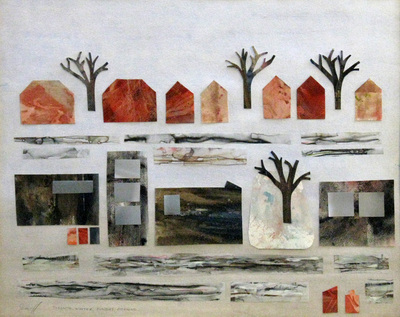 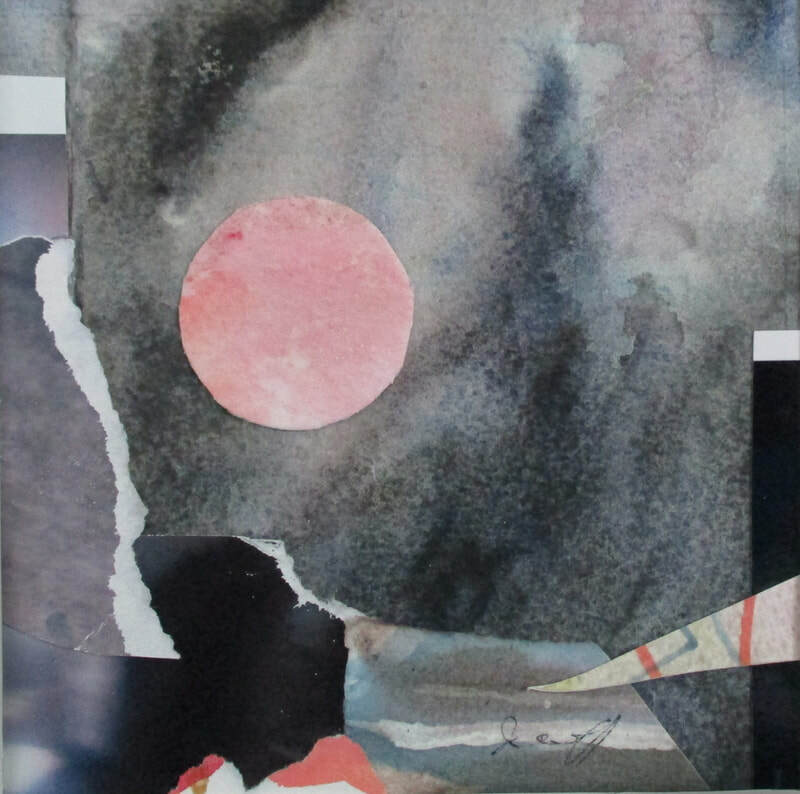 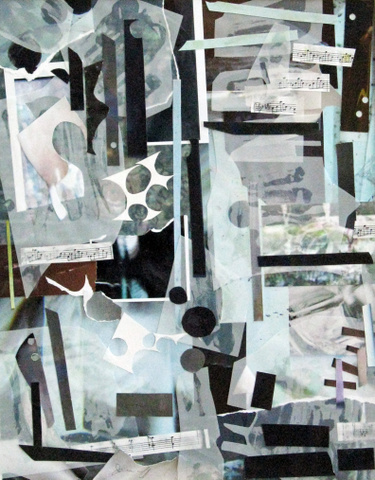 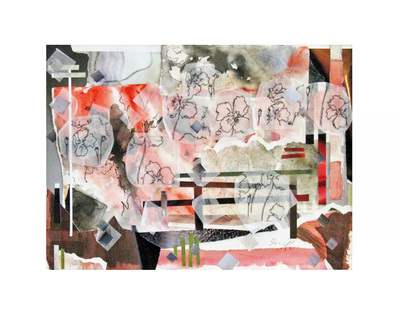 These collages are fanciful abstracts with a nod to reality. 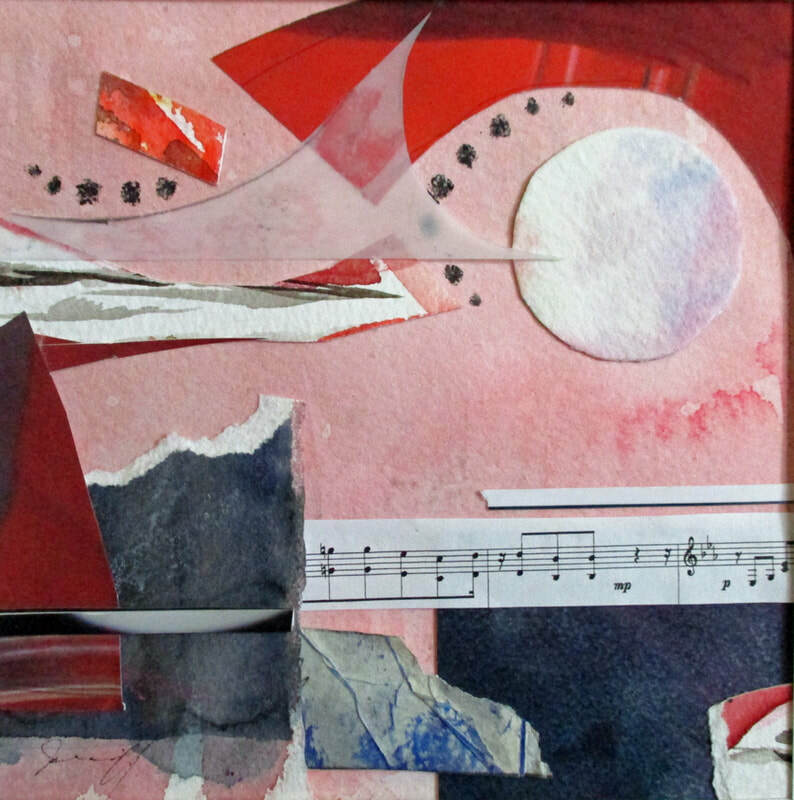 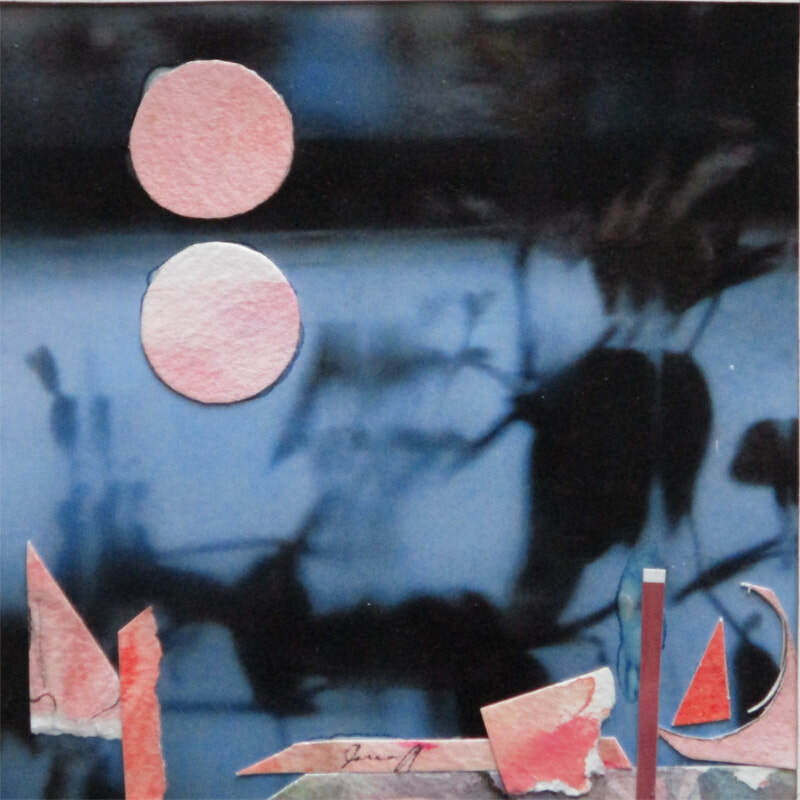 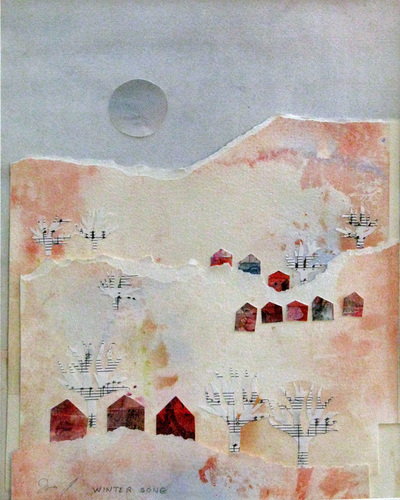 They are made from cut or torn pieces of my own work: sketchbooks, abandoned watermedia and acrylic paintings with parts too good to waste, extra copies of photographs, written music. Pieces of mylar, foil and tissue paper are also used. 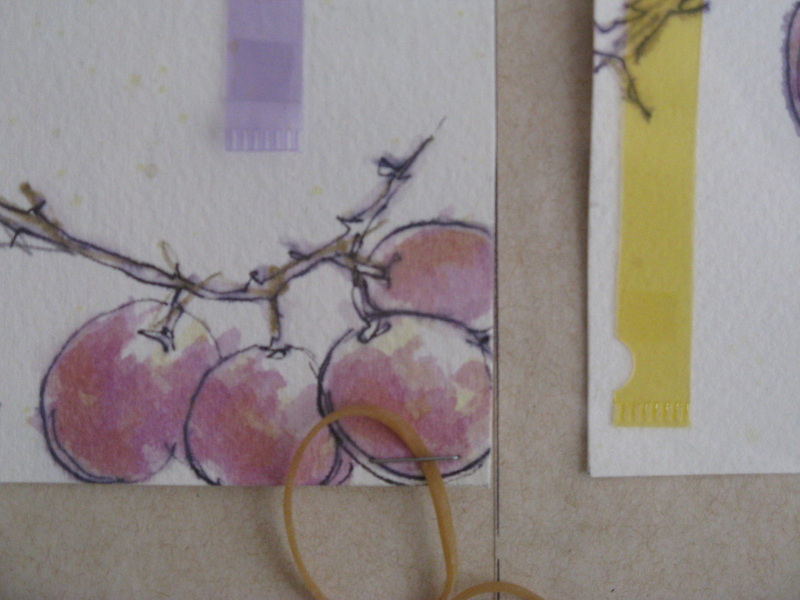 All these are adhered to a paper backing. 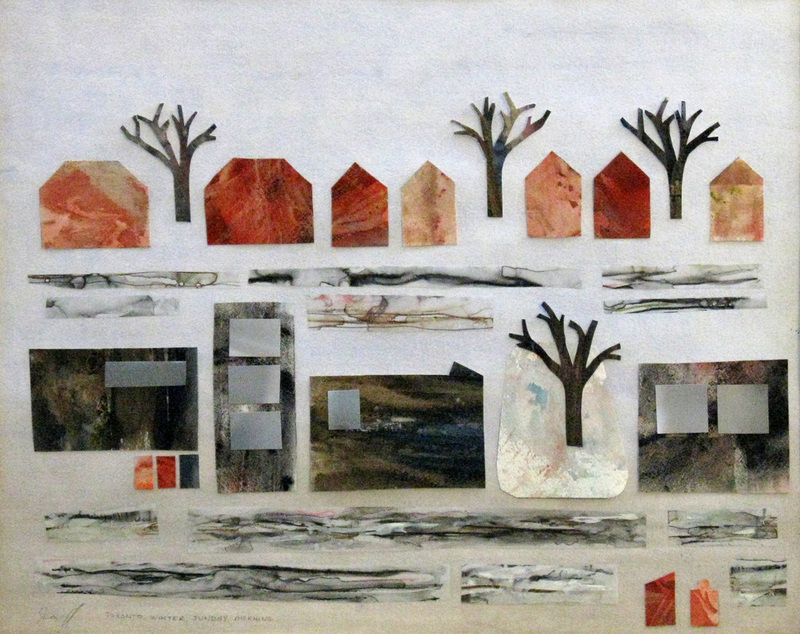 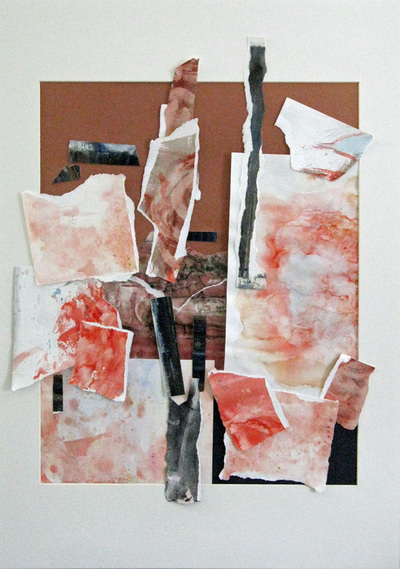 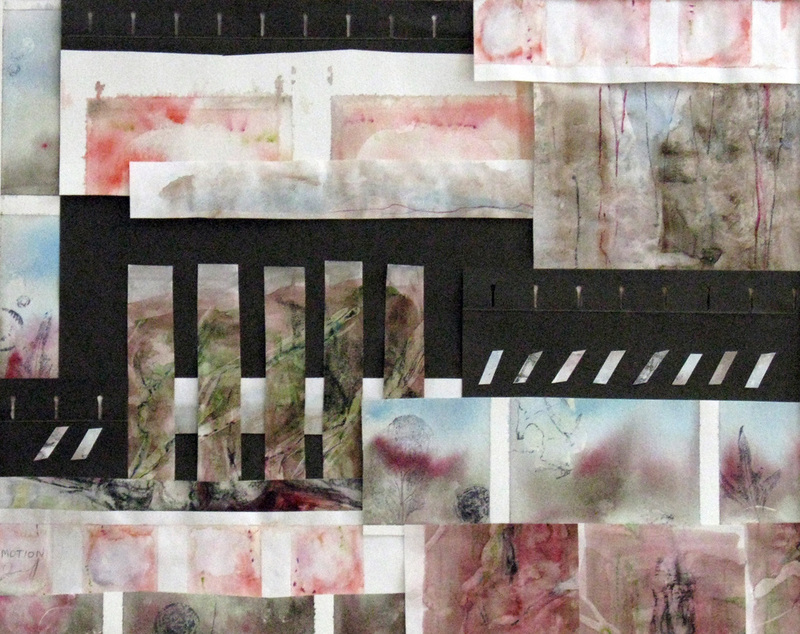 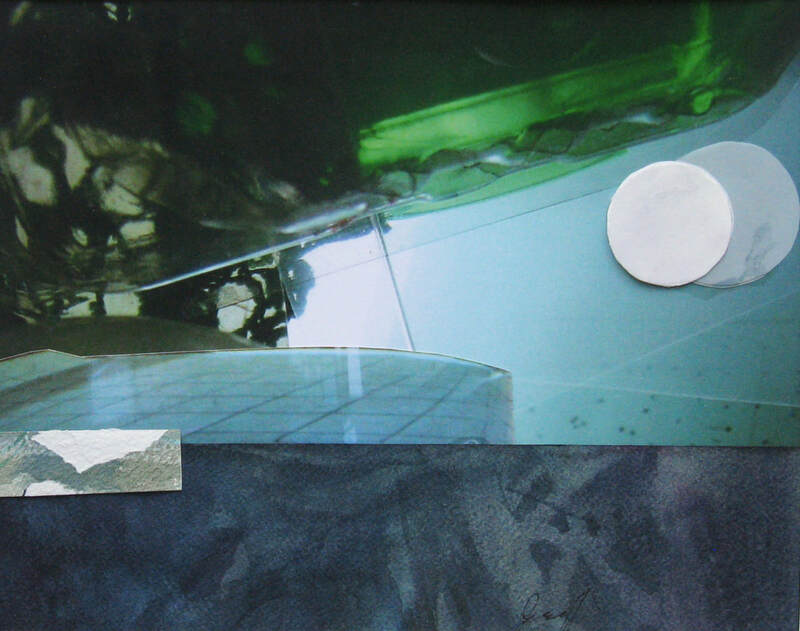 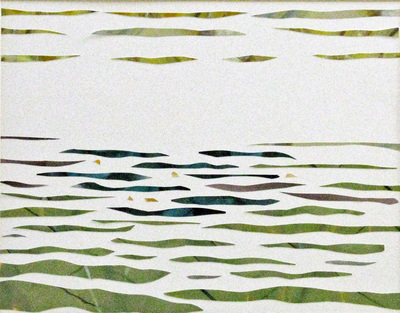 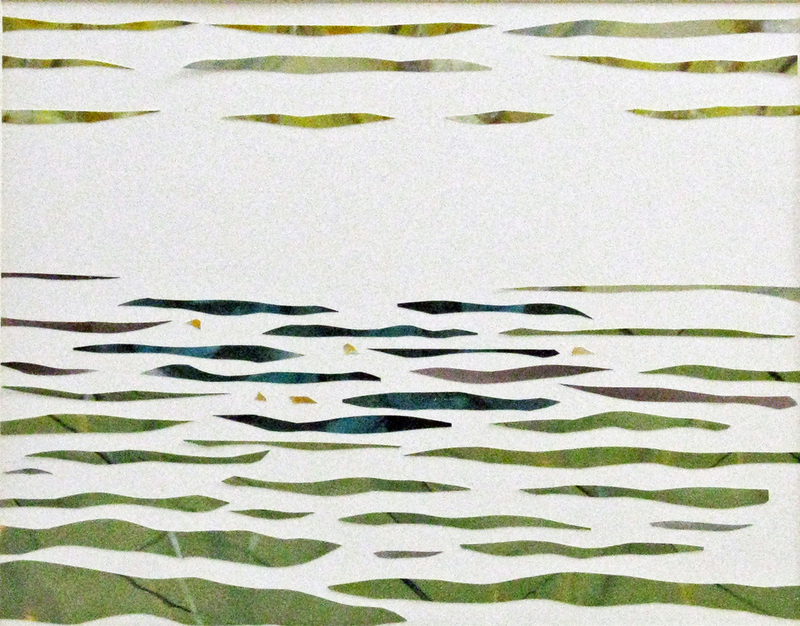 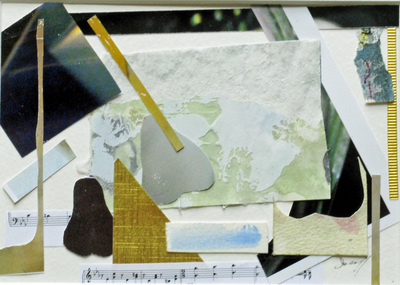 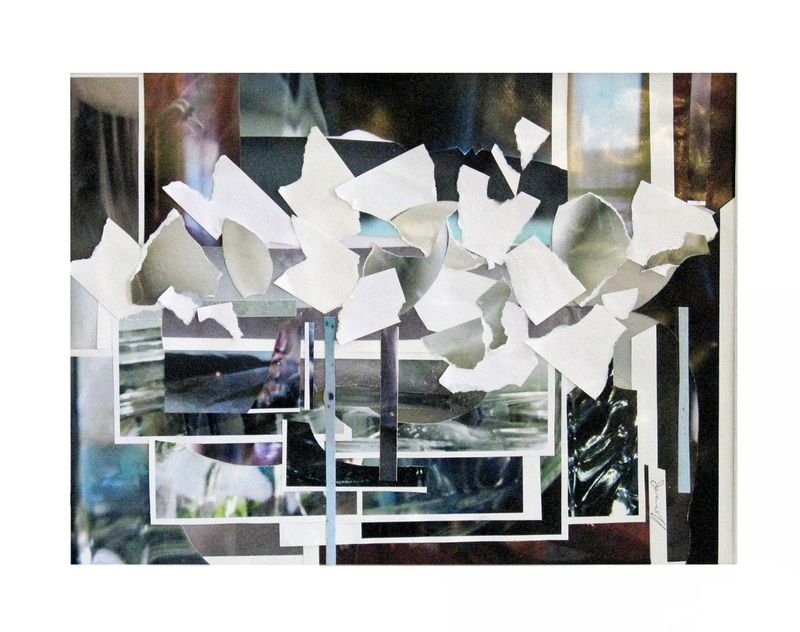 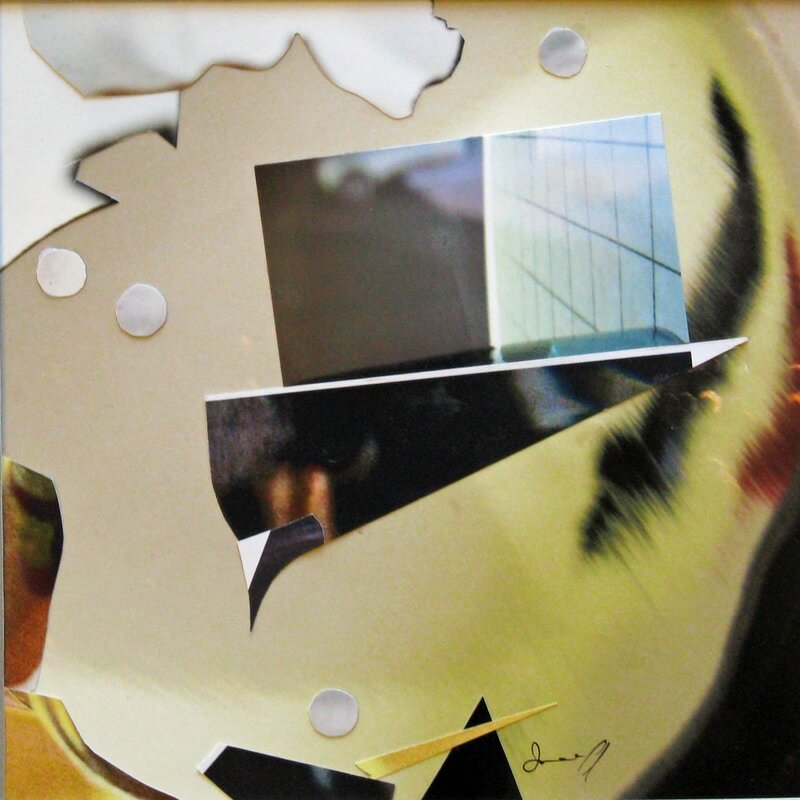 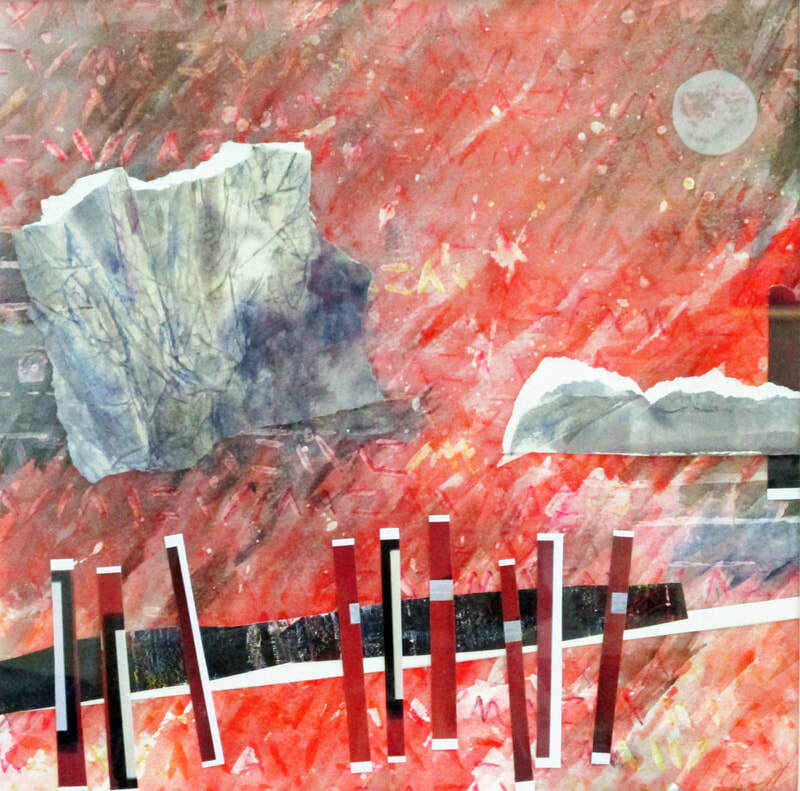 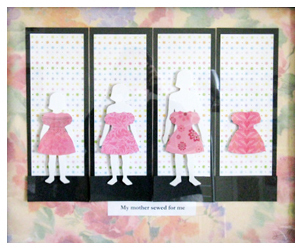 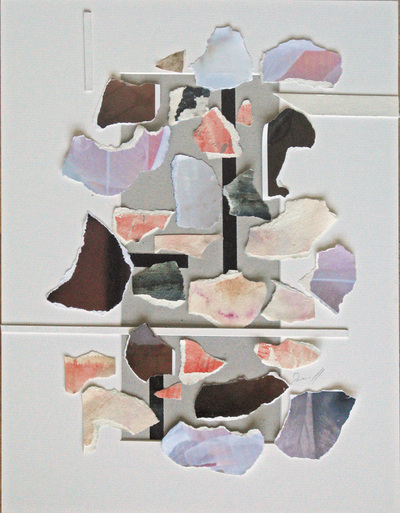 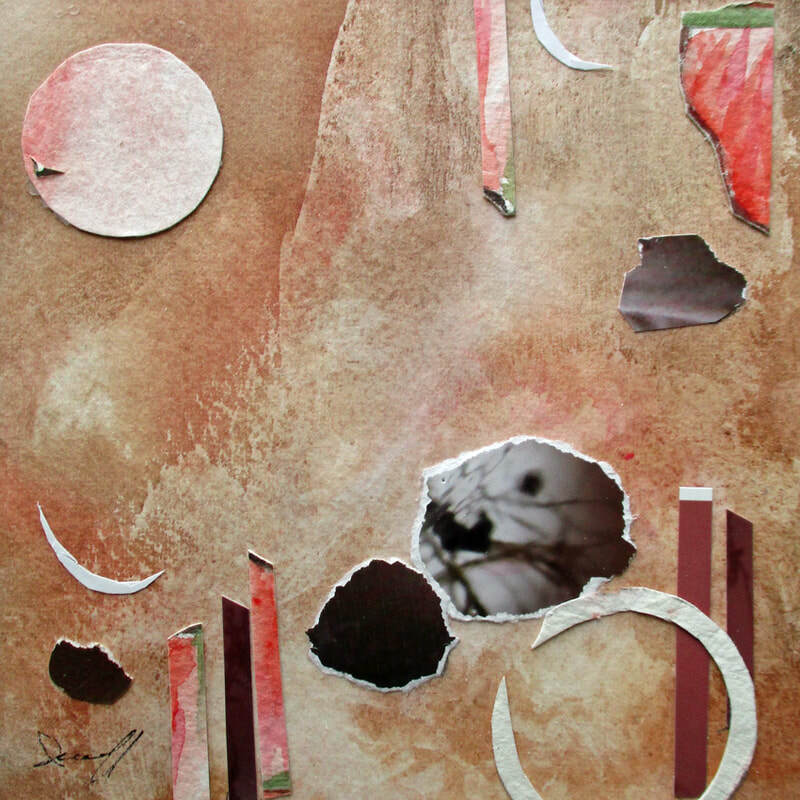 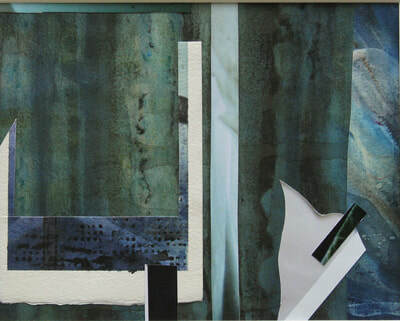 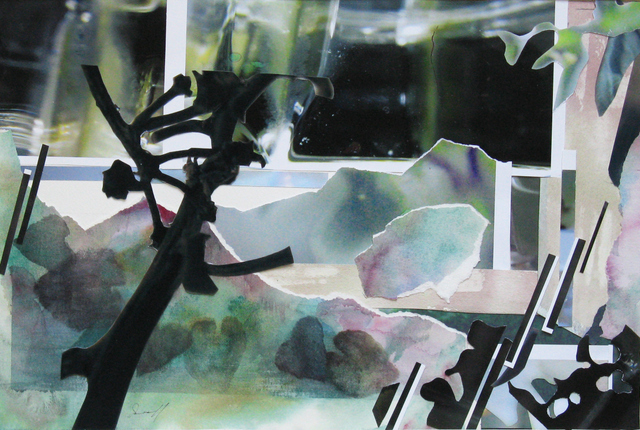 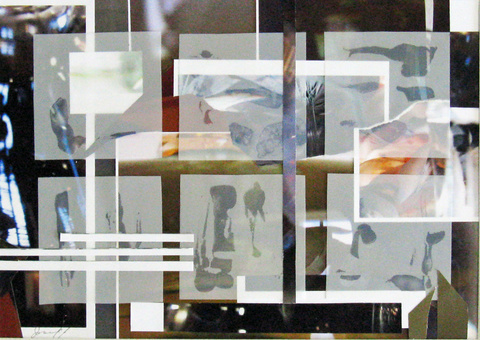 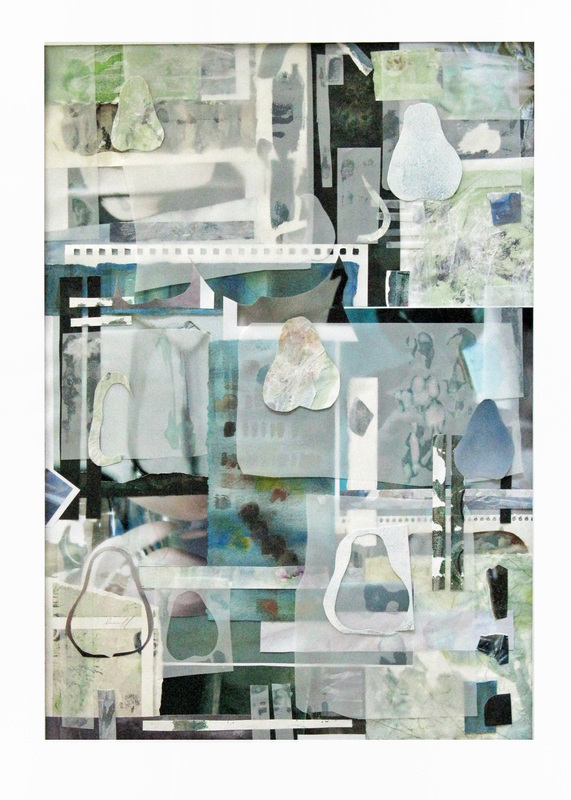 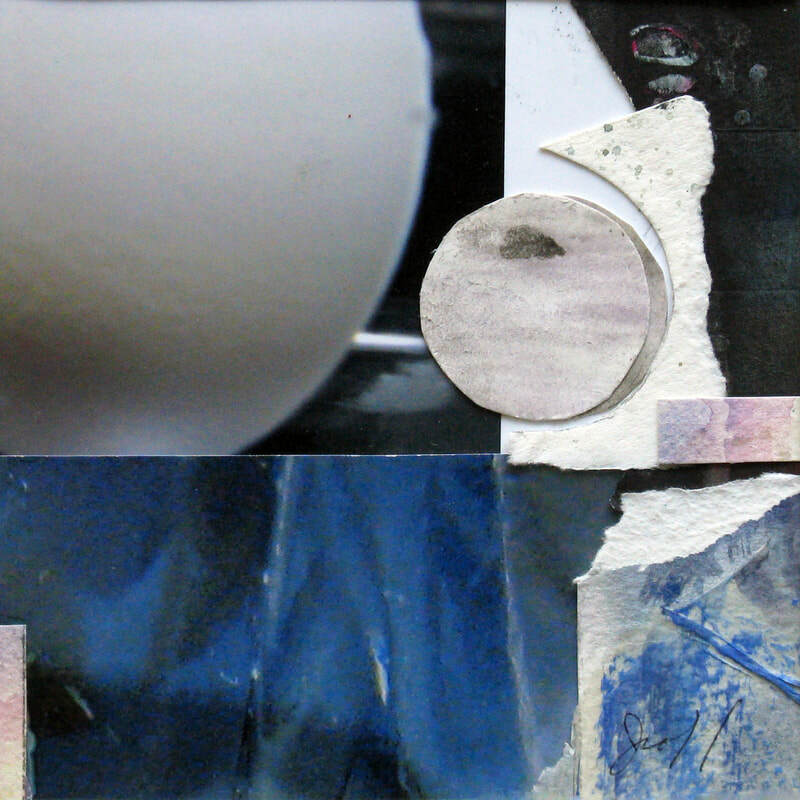 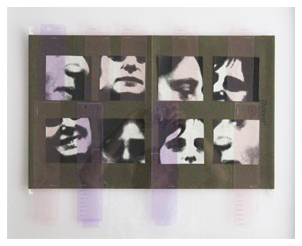 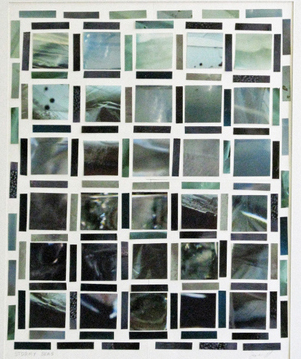 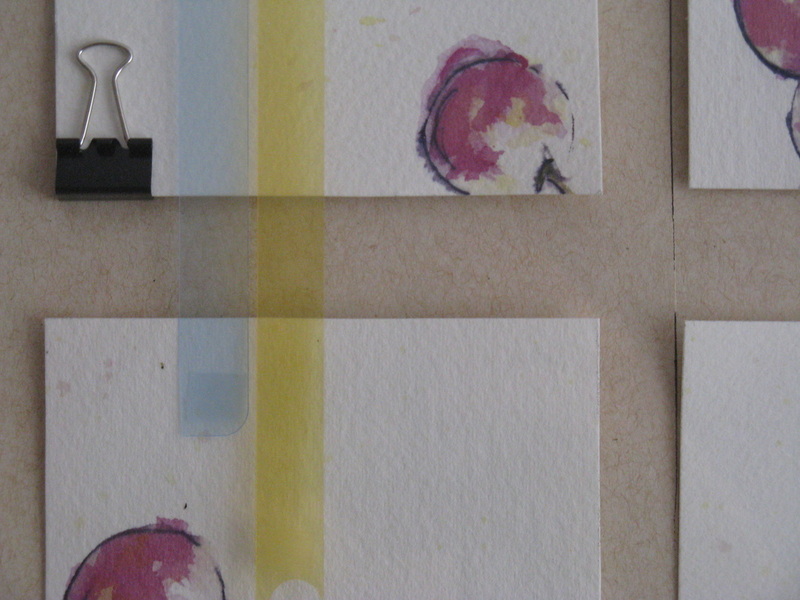 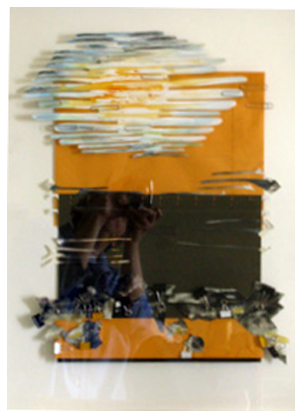 In these works I have emphasized a variety of edges: torn, cut, cut with photographic borders left on. 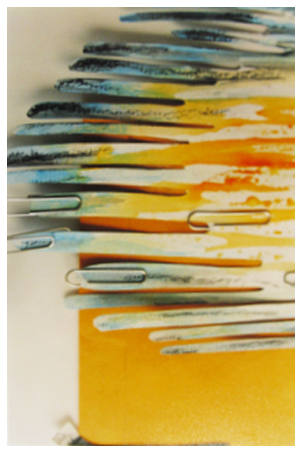 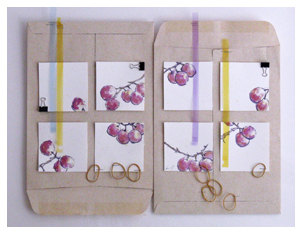 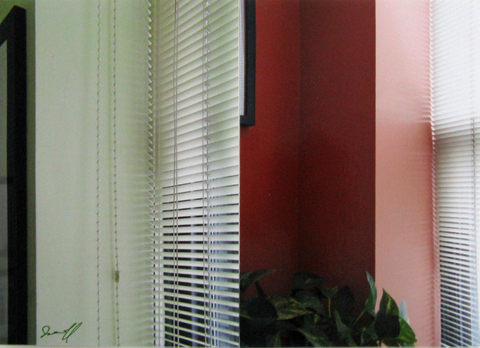 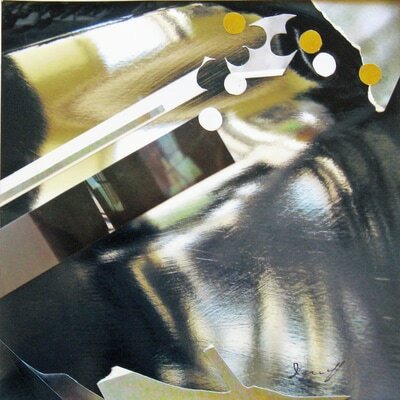 Each starts with a part of a painting or photograph, chosen for its colour or mood. 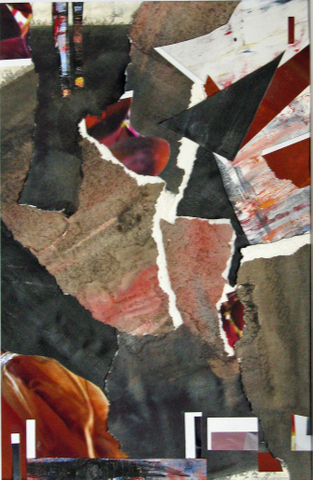 I choose other pieces to go with it. As I move pieces around, a theme suggests itself and I continue from there. Some of these assemblages incorporate office materials, which are always at hand in a writer's space.